The SMS makes no progress. 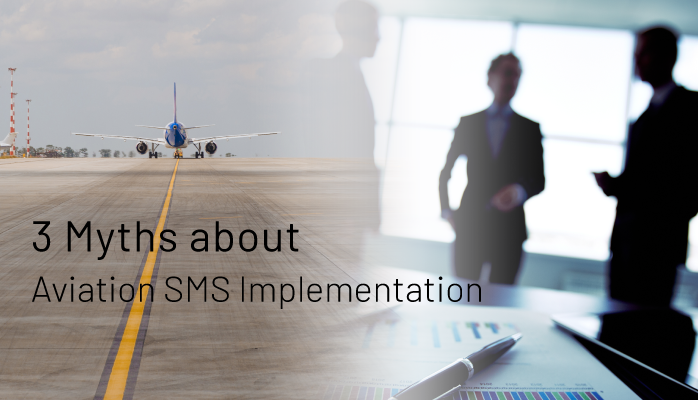 Myths plague aviation SMS implementation – we’ve all been guilty at one time or another of clinging to false beliefs. It’s part of the learning curve. Here are 3 myths safety managers struggle with when starting an SMS implementation. How many aviation SMS are there out there that are simply a showpiece? The answer is many. Whether it’s a non-performing program wrapped in aviation SMS software or an SMS manual, such SMS have no influence on the daily operations of the organizations in which they exist. We call this a "paper SMS" where operators' main focus is to "check the box" while continuing operations unhindered. For example, we have had numerous clients in the past where nobody logged in to their safety portal in months. Such safety cultures illustrate the fact that aviation SMS can make no difference for safety. The SMS needs a safety champion. Without all or at least some of the above points, an SMS will remain limp and useless. A risk management program is a tool, and like any tool it’s only useful if it’s being used. Aviation safety managers do not own aviation SMS – the manage it. In fact, the accountable executive (e.g., CEO) is person who owns the safety program. The safety manager facilitates safe operations, but the accountable executive is ultimately responsible for the success or failure of the aviation SMS. Charged to correct any substandard SMS performance. Safety managers answer to the accountable executive. Safety managers are usually the ones charged with managing the SMS implementation. It is for this reason that safety programs depend on upper management's support. Safety managers are tasked with responsibilities that are far beyond the scope of both their ability and responsibility to perform. Front line employees who don’t report issues, don’t try and improve safety behavior, or continue to cut corners when the boss isn’t watching. Why private consulting is often very desirable in the aviation industry. Resistance will happen at one point or another in every program – in fact it will probably never go away. Keeping it at bay will take persistence. Probably all aviation safety managers would make at least some different decisions if they were to redo their aviation SMS implementation. Implementations are marathons, not sprints. Safety culture doesn’t happen overnight. The above myths all reference incorrect expectations about safety culture in one way or another. This SMS implementation checklist will prove helpful as you implement your risk management program. Just Starting Your SMS Implementation? Have you just started your SMS implementation or would you like to start over? A major reason SMS fail is because they lack to tools to sustain the SMS and to properly monitor SMS performance. If you ever have to redo an SMS implementation or start a new one at another company, you are recommended to start with an SMS database after getting top management support. This may sound like slick snake-oil salesman talk because we provide an SMS database to manage all SMS requirements in a centralized database. But you can ask any safety manager who has successfully implemented an SMS, and they will tell you to get an SMS database as soon as possible. It will save you considerable grief. 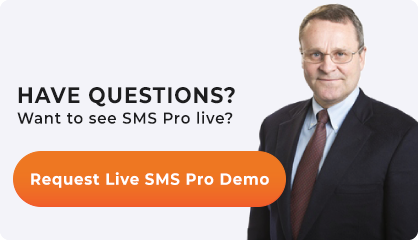 SMS Pro comes with a very complete, SMS manual template with over 100 pages that are also cross-referenced to address FAA's Part 5 required processes. Watch our videos and see if we are a good fit for you. We are here to help. Published December 2016. Last updated January 2019.